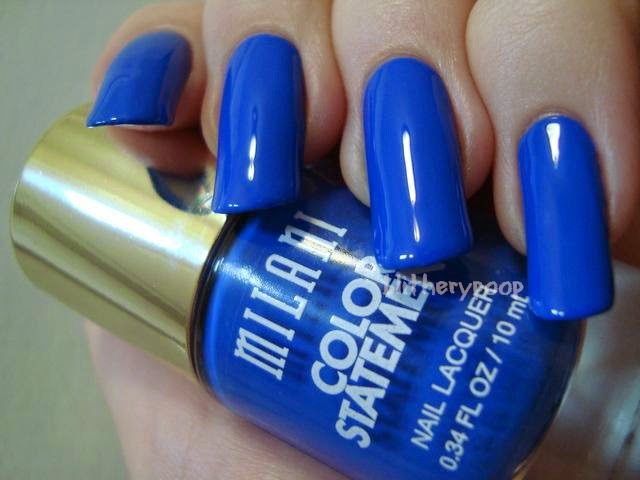 When all of Milani's polishes suddenly went on clearance at CVS, a lot of us wondered what it could mean. Turns out they're introducing a whole new line! Gone are the flat bottles with the skinny caps. In their place are chunky, round, Nails Inc.-style ones. They're a bit smaller at 0.34oz instead of the old 0.43oz, but the price has also dropped from $6-ish to $4.50-ish. I think that works out to be a price drop, but I'm terrible at math. I perused the whole line, polish by polish, when I tracked it down at a CVS near work, but my eyes were really only drawn to one thing. I was pretty sure I saw a dupe for the bitterly mourned Sally Hansen Pacific Blue. I had to buy it to put it to the test. Blue Print is a medium blue cream. Blues are notoriously hard to photograph, so this isn't exactly accurate. Like Pacific Blue, it's dustier and less saturated than it looks in photos. The photo below is closer. 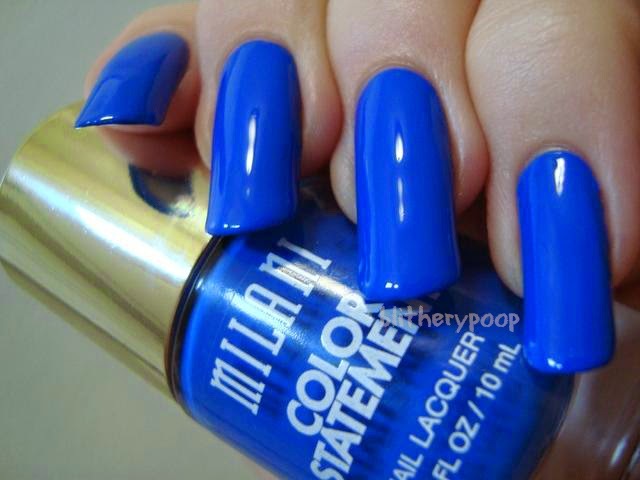 The formula's good, somewhat similar to Sinful Colors creams and not as runny as Milani's old polishes tend to be. This is two coats, but if you're careful and have short nails you might be able to get away with just one. So is it a Pacific Blue dupe? Sadly, no. It dries a little darker than it looks in the bottle and side-by-side the difference is obvious. It's almost like a cross between Pacific Blue and Sinful Colors Endless Blue, with the color but not the saturation. 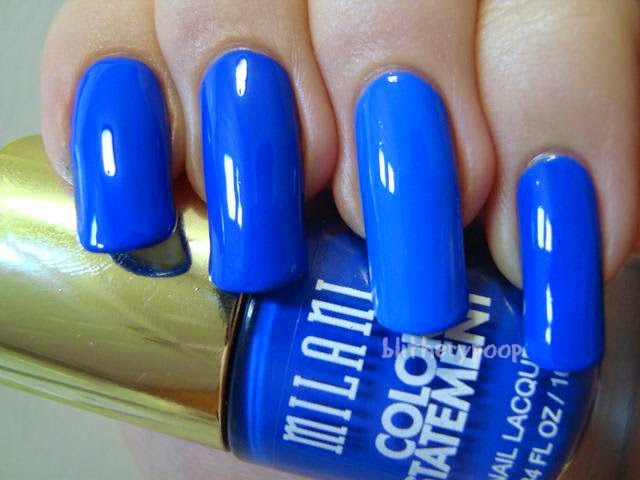 Bottom line: If you're a blue polish nut like I am, I think Blue Print is just distinctive enough to be worth owning. The formula's good and I'll probably be trying at least a couple more from this new line in the near future. The cap may be a problem for some users, but I had no trouble with it. 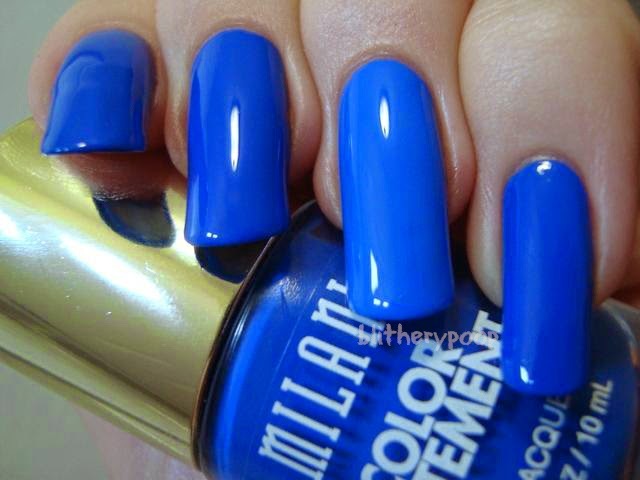 Have you tried any of these new Color Statement polishes or Milani's other new products?